At this moment, while I sit here writing, I cannot think of one thing that I have done that the memory of makes me feel resentment towards myself. Sure, there are things that I have done that were hurtful to others, but for the most part I have realized my actions may have caused hurt, tried to learn from my actions so I won’t repeat them, and asked for and received forgiveness for my actions. From this, I have been able to move forward in my life without carrying a lot of guilt and self-resentment. In my original post “Choosing Forgiveness”, I discussed how to move forward in your life and cut the ties that bind you to someone who has hurt you through learning to forgive that person. Now it is time to look at ourselves and try to examine what internal baggage we might be carrying around that we need to be able to free ourselves from by choosing to forgive ourselves. Many of us have done things in our lives that we might not be happy with ourselves about. Have you been the one to cheat on a partner? Have you been the one to break a promise you made to yourself or another person? Do you beat yourself up over the fact that you didn’t say something to someone before it was too late or that you did say something that you could not take back and now you regret it? For people with a conscience, the guilt of having to bear the burden of such actions can weigh heavily. Just as the anger towards someone else can cripple you, worse can the anger that you might hold towards yourself. We can be our own worst enemy. The feelings of anger and resentment that we can harbor towards ourselves can be much more harmful to us than anything someone else can do to us. Carrying around a lot of negative emotions can be damaging not only to our mental well-being but can make us physically ill as well. We need to be able to heal ourselves. Too many people have not learned how to truly repent for and reconcile with their actions and they stay stuck in a vicious circle of self-accusation for wrongs they committed. This is the worst way to live. At least if someone else was beating you up for your mistakes or sins, you could walk away and get some relief. But when you are beating yourself up, you can’t walk away because no matter where you go, you are always with yourself and the beating you can give yourself can become relentless. This is where you need to learn to forgive yourself and let go. I know all of this is easier said than done. But the first step is to truly identify what it is that is holding you back; what is preying on your conscience. Once you have identified the issue, if you have trouble forgiving yourself, ask God for His forgiveness. He wants to forgive you – you just need to learn to accept it and trust in it so you can free yourself. There are two important things that must happen for forgiveness to occur: acknowledgement of the mistake or sin and acceptance of the forgiveness. Without these two factors, you will just be going through the motions and will never truly free yourself. One thing that we all must understand and accept is the fact that people make mistakes – no one other than God is perfect. But God loves us so much He is willing to forgive anything as long as we are repentant. He forgave man for the original sin committed by Adam and Eve. He will forgive you for what you have done. God’s forgiveness is not just a free pass to commit sin, rather it is a way for us to be able to move forward in our lives after the realization that we made a mistake. In the Old Testament, David had committed some very serious sins. He committed adultery with Bathsheba and then murdered her husband to cover it up. This was starting to eat away at David. Eventually, in Psalm 51, David asks for and receives God forgiveness for his sins. In Psalm 86:5 David says: For You, Lord, are good, and ready to forgive, And abundant in mercy to all those who call upon You. 1 John 1:9 tells us: If we confess our sins, He is faithful and just to forgive us our sins and to cleanse us from all unrighteousness. If you are having trouble forgiving yourself, let God forgive you. You need to have faith in God and His forgiveness. Forgiving others comes from you; forgiving yourself comes from God. Thanks for the good whispers !!!!! if god is willing to forgive me who do i think i am not to forgive myself?? i just like to say that reading this article is making me become a better person,i have a very bad temper i just dont stop n think of the consequences after i say what i say .But now i aam understandig more on how to forgive in order to be forgiven……..
Also Psalms 94….for those that have be sinned upon by others and boasting about it. You who have been sinned upon and can’t forgive yourself for letting it happen, God offers his help, and digs a ditch for the sinner, for they shall be judged in the courts. What more can he offer you to help you move on? 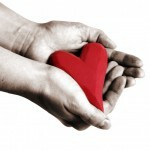 Before reaching to others we have to start reaching our heart, our soul, our spirit. How can I forgive others and leave my poor self unattended? How can I help someone and neglect my own? GOD within me, God beside me, God above me, God behind me , God before me, God wispering me that HE IS NEAR ME, He is for GIVING me everything. I empty my self daily, I confess my sins, (as we all dispose our household into recycling bins) I accept gratefully His GIFT of life, I embrace His presence, I leave the past, I move forward, I am a new creation. NEW and IMPROVED. I WILL NOT FORGIVE MY SELF FOR WHAT I DID TO MYSELF LAST NIGH I TOOK 7 OF MY HIGH BLOOD PRESSURE PILLS I WAS FEELING DOWN LIKE KNOW ONE CARES I THINK ALOT HAS TO DO WITH MY SON HE ALWAYS PUTTING ME DOWN CURSING AT ME AND THAT THEY HE DIDNT WANT TO EAT WHAT I COOK BECUZ HE THINKS SOMETIMES THINKS I AM GOING TO POISON HIM THAT JUST EVEN BOTHER ME MORE.I REALLY REGRETT THAT I WAS TAKING MY LIFE AWAY I TRY TO VOMIT BECUZ I DI NOT WANT O DIE [LEASE HELP.THESE WORDS SOUND LIKE IT WAS SENT TO ME. Elmer, I want to thank you for your wonderful words of encouragement, admonishion and love. I repost so many of your Wispers on my facebook page, and many people are so appreciative. Thank you so much for this post. I am one who is VERY hard on myself (and unfortunately my kids). I too have that anger problem, and those around me end up paying for it. I will truly work diligently on forgiving myself and seeking that forgiveness from those around me. Thank you again! God bless you! The thoughts of the day are very good for me it helps me move closer to God and helps remind me of things I have forgotten. I want to thank you for the words of encouragement form God’s word. Please continue this for it is an inspiration to me and many others. thank you and God bless yopu richly. Thank you for an inspiring word of God everyday, it really helps so many people, specially me when I have down moments in my life its like God speak on me and remind His Promises is true just repent and offer our life to Him, He will do and He knows what is Best for Us!!!!!!! i would like to say thankyou for posting this. For many years i have struggled with my self over the things that i have done. I have done some terrible things to the people that i love. And it has now cost me a marriage of 11 years. I know that GOD can rebuild what i have destroyed but at this moment in time i struggle with what is going on in my life. I used to walk right with our lord and savior. He had a calling in my life. And not heeding is warning when it came to me I chose the easy life. I constantly beat myself up over what i had did and I never forgave myself for it. this article really puts a perspective on what i really need. Praise the Lord my soul! All my being praise his holy name! and do not forge how kind he is. and heals all of my dieases. and blesses me with love and mercy. so that I stay young and strong like an eagle. and gives them their rights. and let the people of Israel see his mighty deeds. The Lord is merciful and loving. slow to become angry and full of constant love. he is not angry forever. or repay us according to our sins and wrongs. so great is his love for those who honor him. so far does he remove our sins from us. so the Lord is kind to those who honor him. i want to ask Mom to forgive me. I have been so mean to her.I know she loves me. She takes me under her wing.I am here to take care of her but she actually takes care of me. She is elderly now.And I need to tell her that I love her.I always have, I always will. I want to ask her to please forgive me for all the wrongs I have done to her.I know deep-down I hurt her.But, still as my mom, she still loves me.I also, have daughters.and they too, have hurt me in so many ways.but not like I have hurt my mom.I will tell her tonite. “Mom, Please forgive me for All the bad things I have said to you and All the mean things I have done. I really love you. I hope I find it in your heart to forgive me. I have always loved you.Please forgive me. Thank you so much for the Whisper of God on FB. I have been beating myself up over things lately and have been feeling like I can’t go on. But tonight I got down on my knees and had a heart to heart with God and He has directed me here. I know so because this is the first thing I came to on FB. It was calling me in and by reading about forgiving myself I see a lot of what my problem is. Thank you so much for being on here and thank you God for answering prayers and always, always watching over each and everyone of us. Choosing to be forgiven and to forgive yourself is not the issue, because you are forgiven does not mean you escape the consequences, that is what I think most people have a hard time with. If you are suffering the consequences of your sin it is difficult to accept that forgiveness is granted. I have been struggling with something I did to a friend and although she has forgiven me, I have been unable to forgive myself. Reading your article has helped me see that I need to lay it at Jesus’ feet and be forgiven by Him and move on to rebuild a friendship. I look forward to my daily posts from Whisper of God and so many days I repost them for my friends. Thank you! Thank you…..what an must in taking your first steps….forgive yourself….what an awesome God!….. I have forgivin myself for my sins and I know god will forgive my husband for his whatever it may be. I pray that god sends him back to me safe and sound. Our love is real and pure an everlasting love, for which I could never live without. I to been and going through a difficult time and it has been hard but with the faith and love from my family and friends and god helps me to understand that your never alone and no one is perfect but god himself. Pray for me and my husband to be together again soon. I have been beating myself up for years for not accepting my daughter in law before my son married her and after he married her. I treated her ugly because she treated my son and my grandchild ugly. I finally came to my senses and began the long road back and now she is making me pay…big time. She will hardly have anything to do with me and has taught my granddaughter to do the same. It breaks my heart. What do I do? I have grown to love her. But she won’t have any part of it. And, now, as I said my 17 yr.old granddaughter is so rude to me and my son does nothing. I am so alone. Help me, please! this letter is very serious and deep. this is so true. i agree wit totally. That was just beautiful.You touch all our lives though God.You are truly Blessed. Have a beautiful day. I will be posting this to facebook so others can be blessed with information on how to change their life with Jesus in it. I was told of this act as my partner of seven years was walking out the door. I am however learning to forgive, because I find that it helps me. And, when I was finally willing to forgive I could feel the healing process start to happen in my heart and mind and soul. All thru the Grace of God. I feel a little less pain as each day passes.